AFTER just one season, KIA Carnival is out of the PBA. 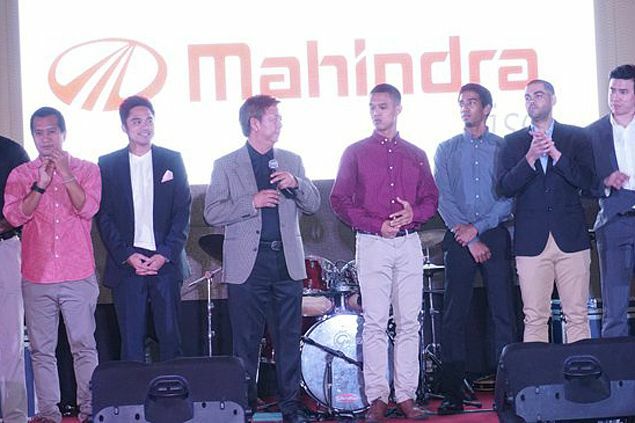 The league's expansion team has announced that it has dropping the KIA Carnival name and will carry the banner of Mahindra Enforcers when the PBA unfolds its new season in October. The Mahindra Enforcers will be representing the rugged Indian utility vehicle recently chosen by the Philippine National Police as its transport vehicle of choice, according to our sister site Top Gear which first reported the name switch. The pro team that had boxing icon Manny Pacquiao as playing-coach is owned by Columbian Autocar Corporation, the local distributor of Kia vehicles in the country and a sister company of Asianbrands Motors Corporation (Mahindra distributor). Both companies are under the ownership of Palawan governor Jose "Pepito" Alvarez. The name switch was announced during rites attended by team manager Eric Pineda and players L.A. Revilla, Hyram Bagatsing and Joshua Webb. Pacquiao was not in attendance.